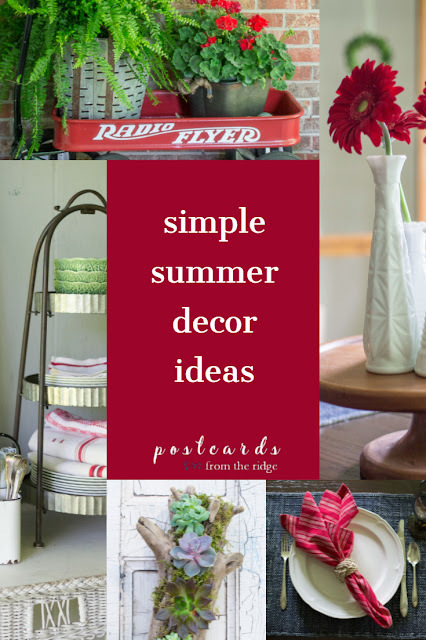 Easy ways to add summer touches to your home. 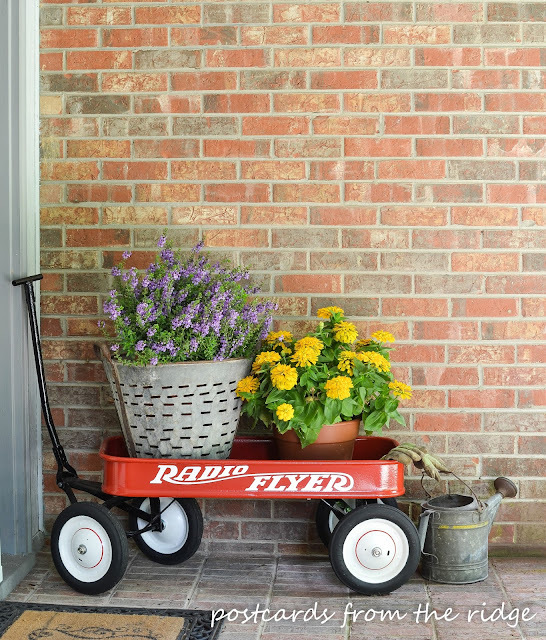 Now that the kids are out of school (or close to it) and warmer temps are finally here to stay, it's time to start getting the house ready for summer. In our house, I like to change out the decor for each season. Nothing too complicated. Just accents here and there. If you're ready to make your home feel more summery, here are a few simple ways you can do it. 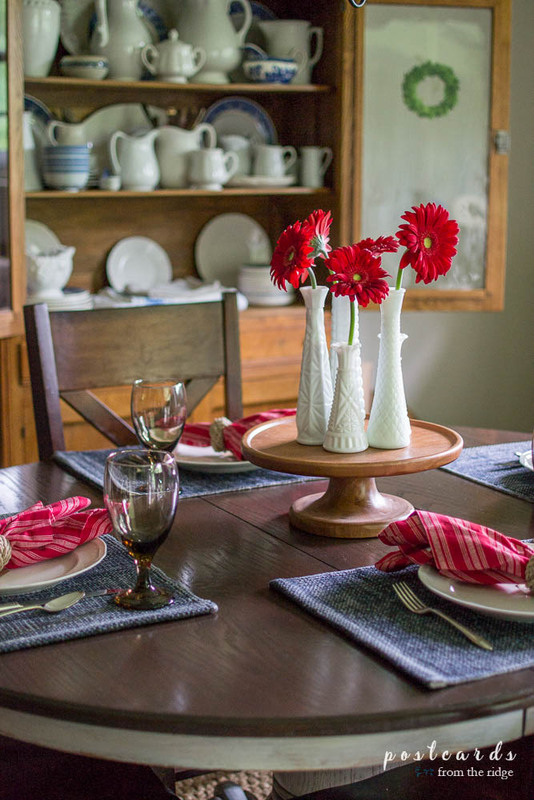 Go patriotic and add a bit of red, white, and blue to the table for summer. These stonewashed placemats would also mix well with green or yellow. 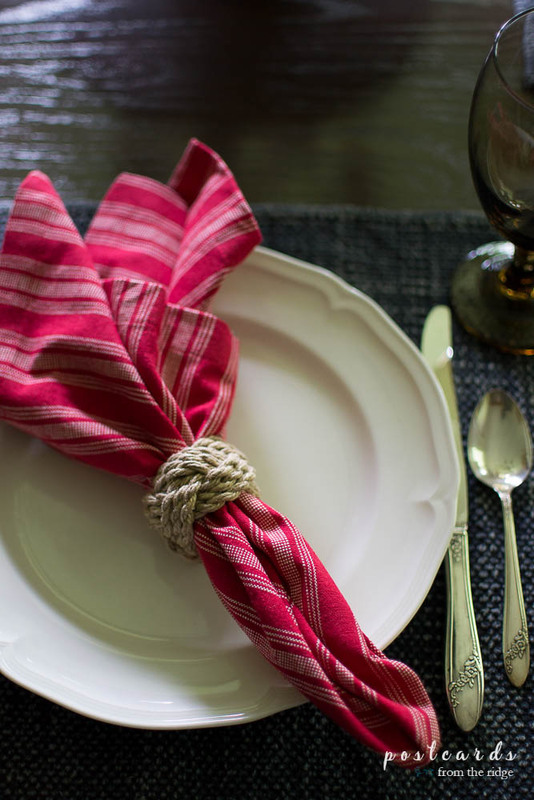 Make any dinner feel special by adding some summery red striped napkins with nautical braided jute napkin rings. 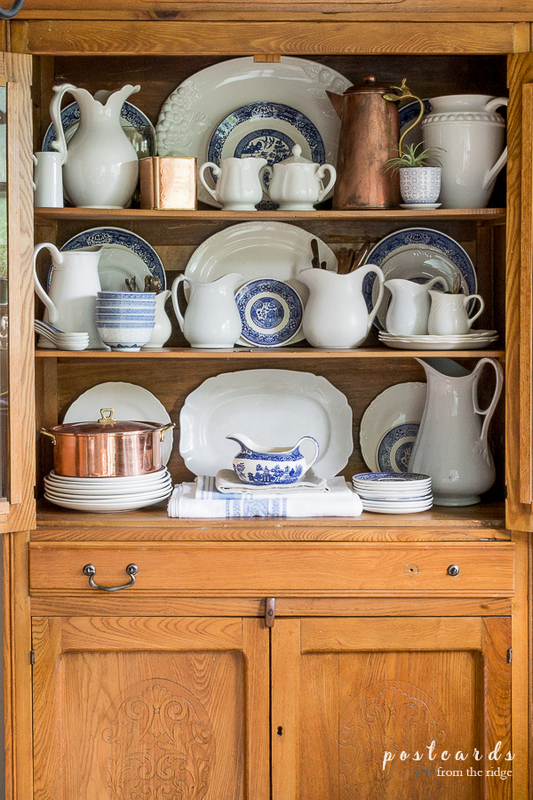 Blue and white is classic any time of the year, but especially in summer. 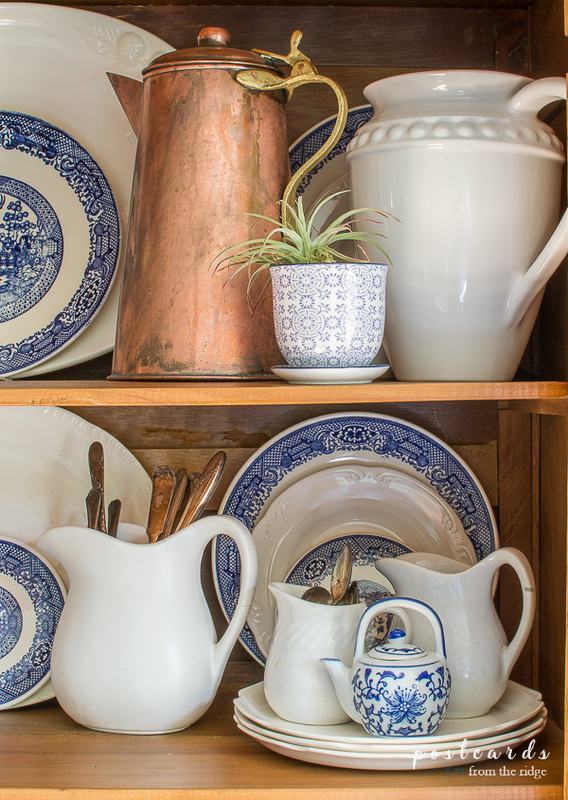 You can often find blue and white dishes and decor at thrift shops and yard sales for next to nothing. And ETSY is always a great resource for secondhand items dishes and pitchers. No standing in line or scavenger hunting required there. 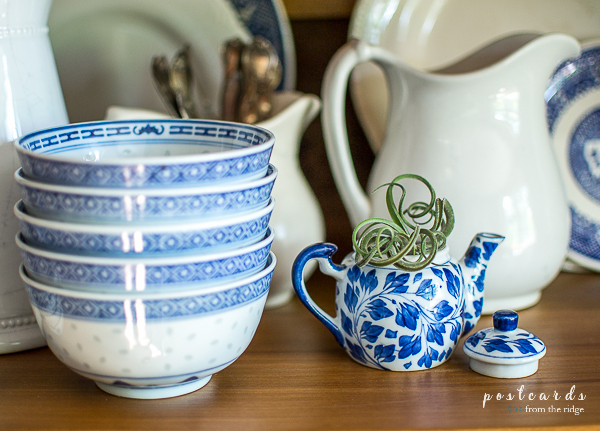 For more ideas on using blue and white decor, go HERE. 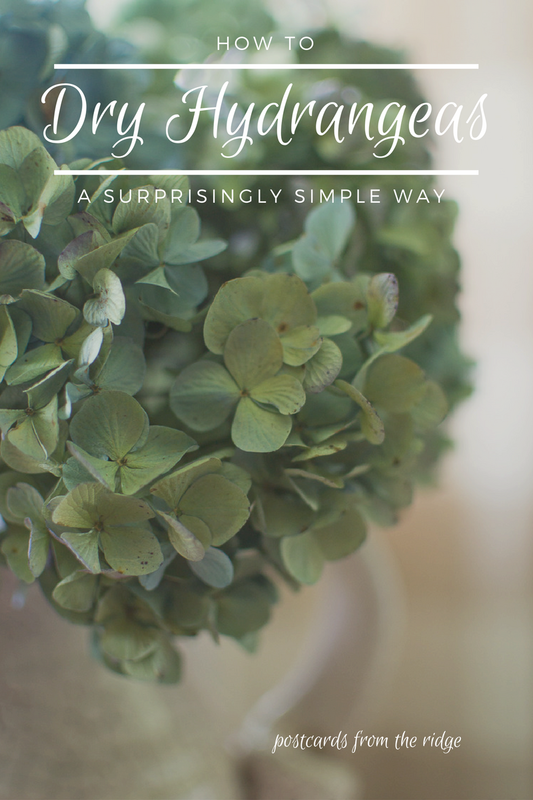 Got a pretty bush blooming in your yard? 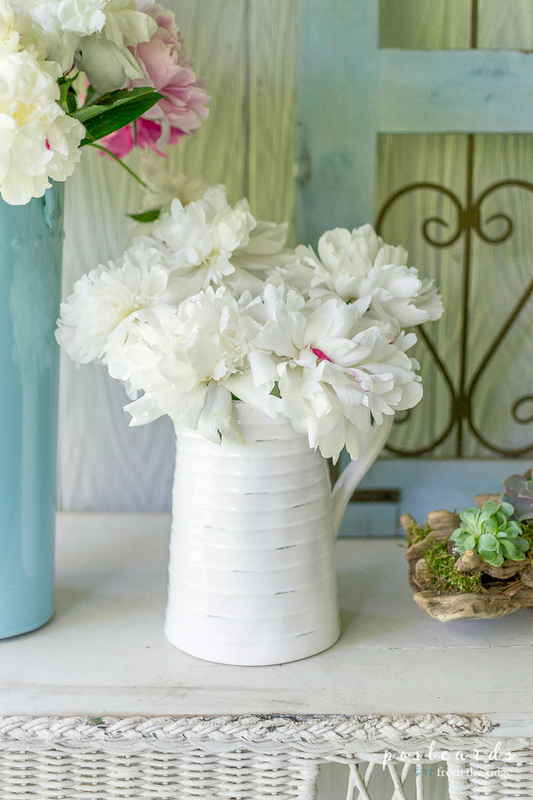 Snip some branches and blooms and bring them inside to add instant charm. I love to decorate with flowers all year, but it's especially nice in the summer. 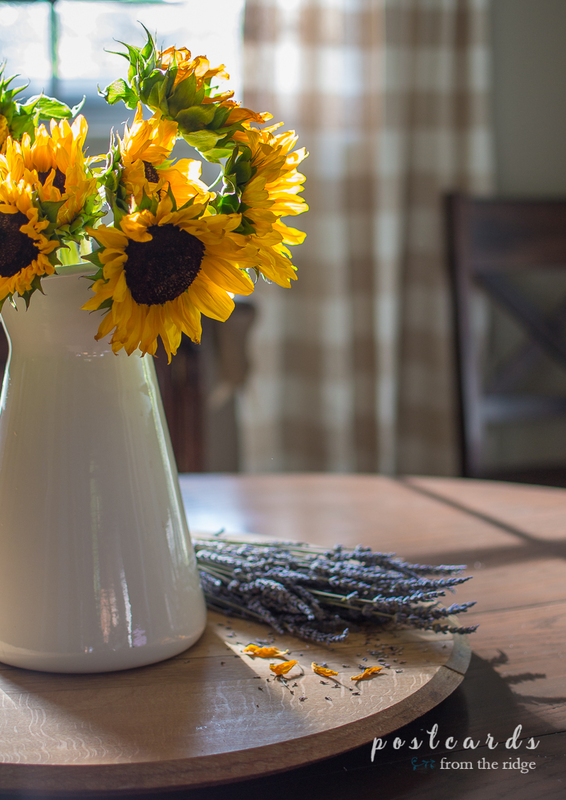 Sunflowers and lavender bunches are such beautiful summer flowers and are wonderful home accents too. I got these sunflowers at the grocery store and simply trimmed them a little and then plopped them into a pretty white pitcher. 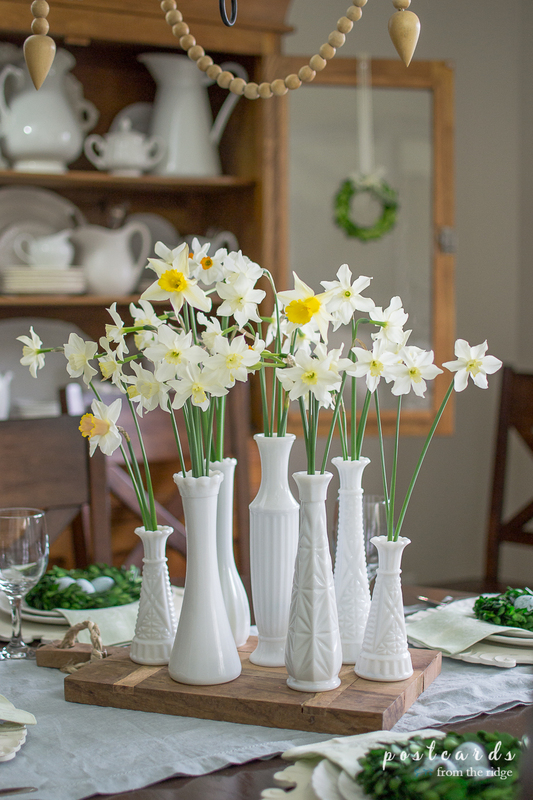 For a simple centerpiece, group some vintage milk glass vases together and add flowers to them. 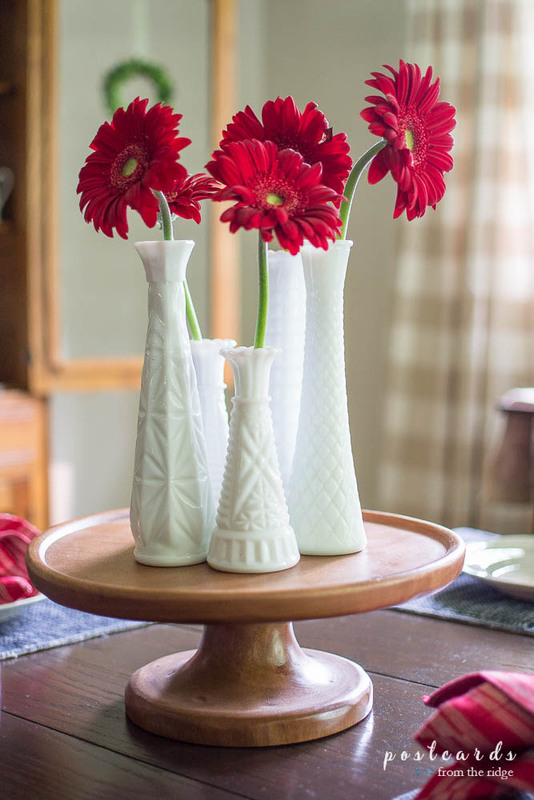 Elevate them on a wood pedestal or place them on a wooden bread board for a bit more of an impact. Don't forget your outdoor spaces. 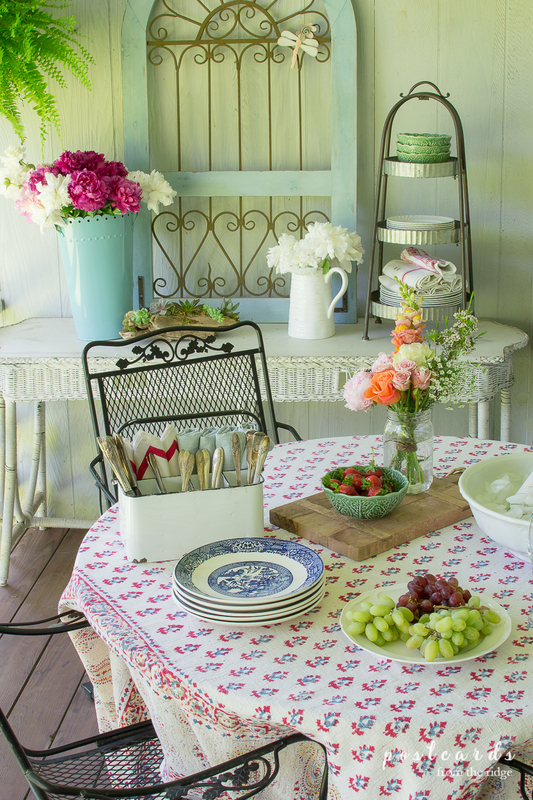 For casual al fresco dining, use a lightweight tablecloth with summer colors, fresh flowers, and blue and white dishes. 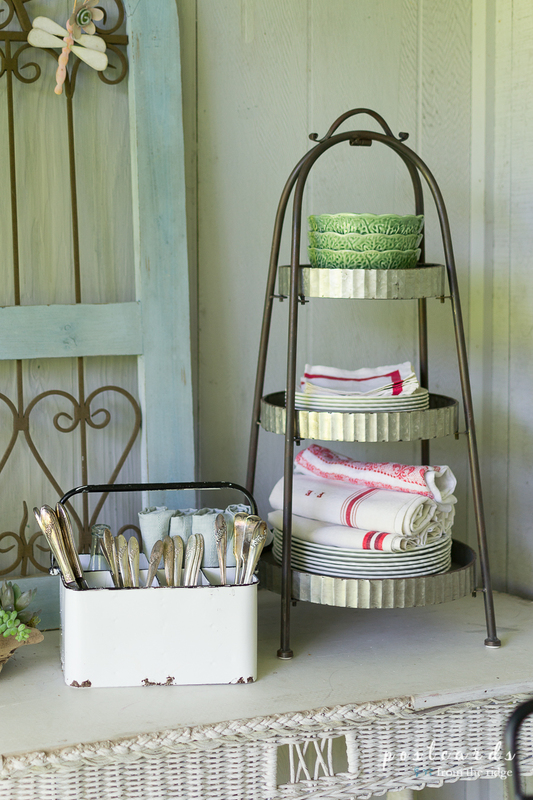 Set up an informal, simple serving area with a tiered tray and utensil caddy. 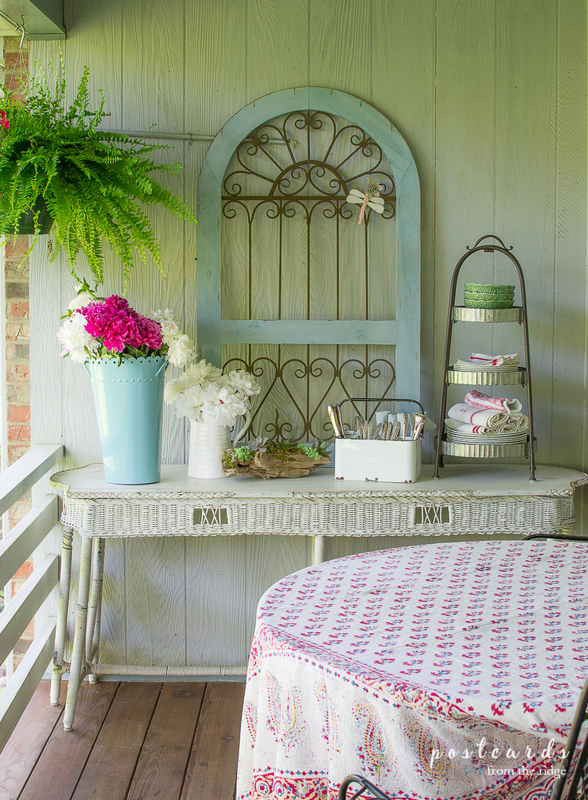 Give your guests a summer welcome by adding lush ferns and colorful flowers at your entry. 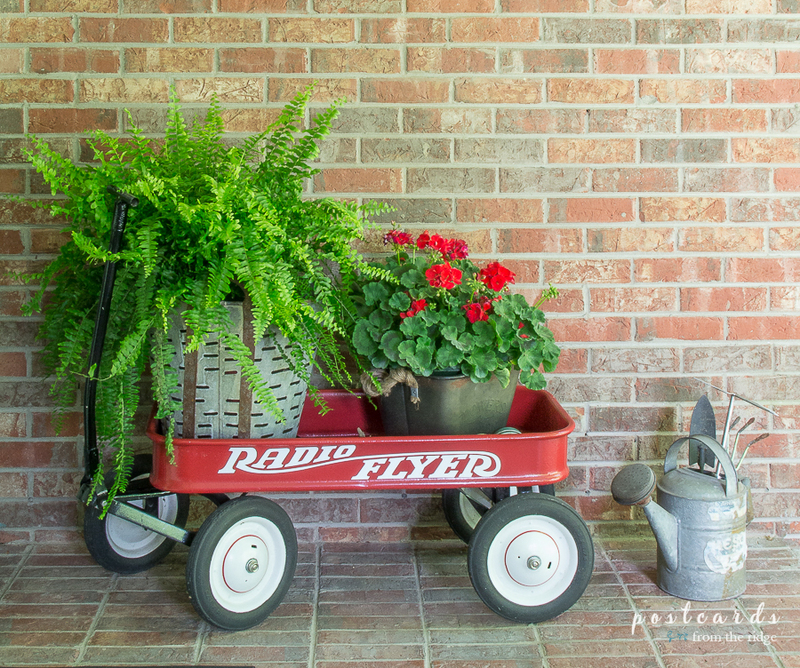 Add vintage charm by using a red wagon or vintage olive bucket for your flowers. 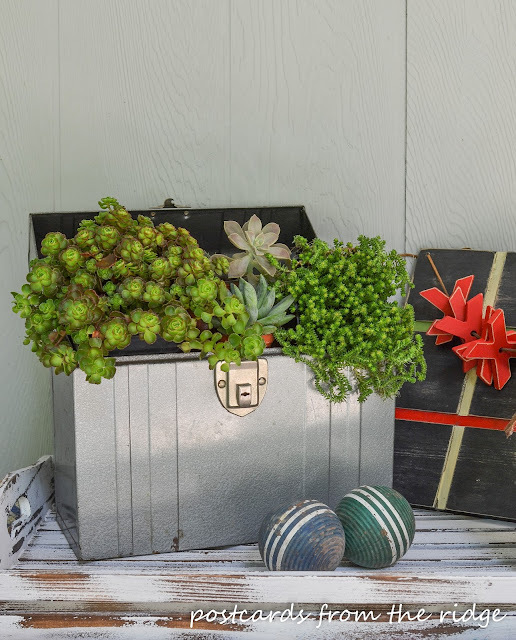 Or be a little different and add some succulents to a vintage file box. For a little summer dash of color, set out some vintage wooden croquet balls. For a pop of color and style, add some outdoor pillows to classic white Adirondack chairs. Got 30 minutes? 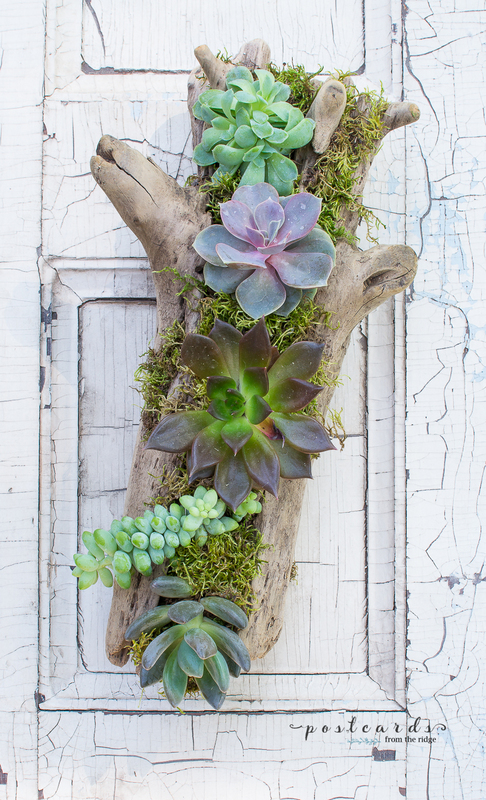 You can make a simple driftwood succulent planter. See how I made this one HERE. 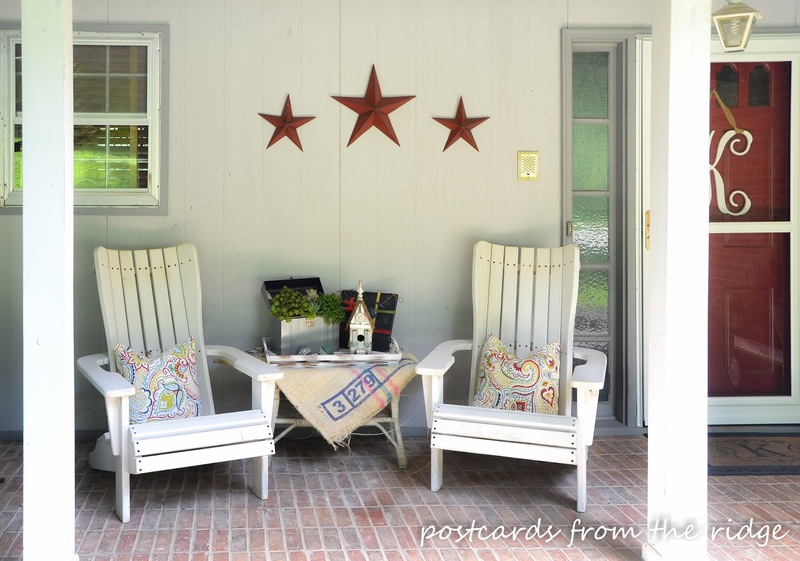 What are some simple ways you get your house ready for summer? Share your ideas in the comments below. 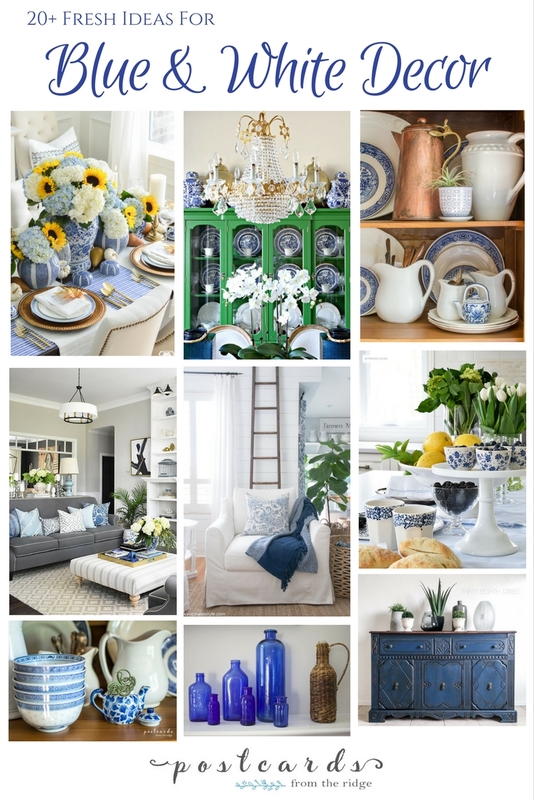 For ideas on decorating with blue and white, go HERE. 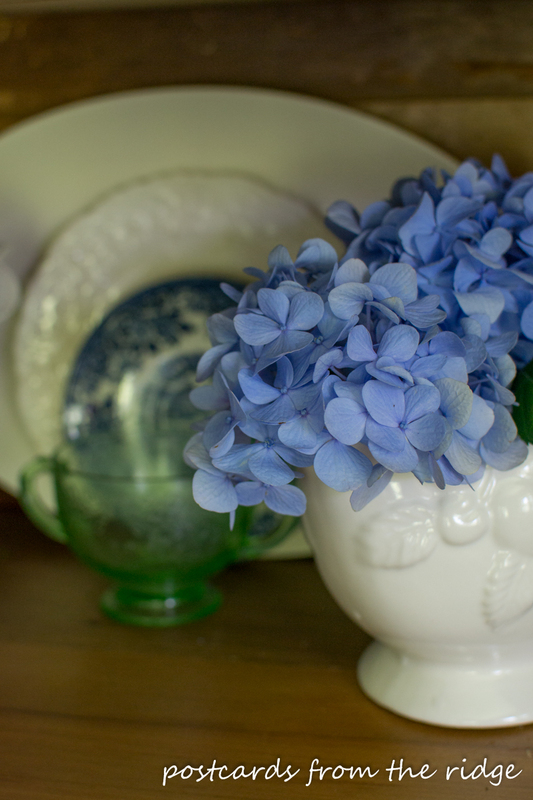 Go HERE to see my super simple way to dry hydrangea blossoms. 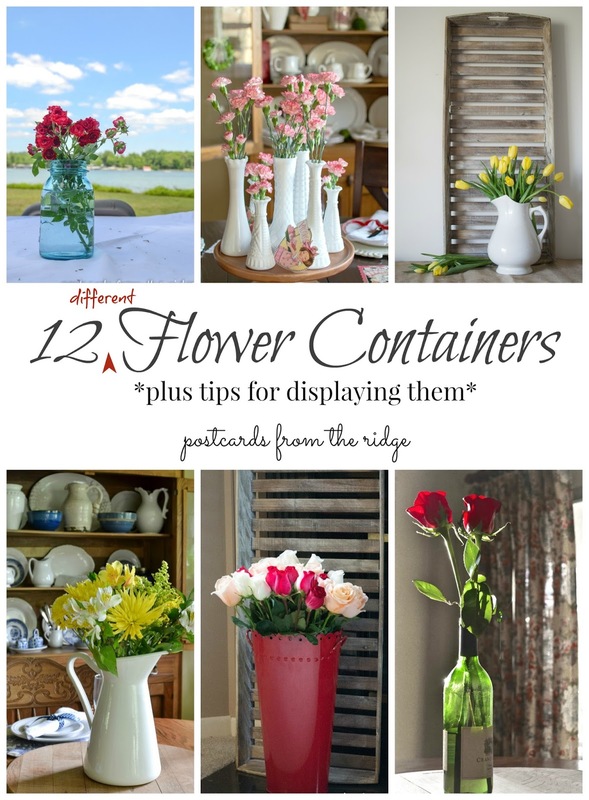 Go HERE to see lots of fun ways to display your flowers.